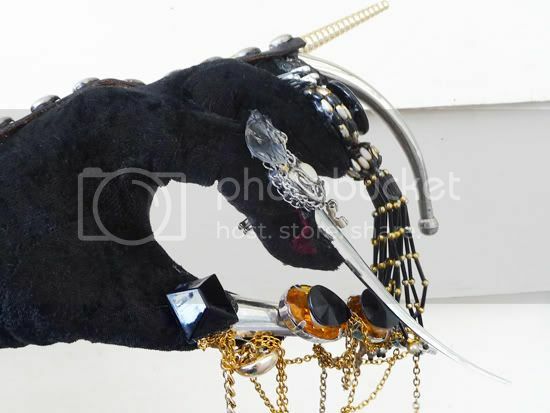 I designed and made this glove in semester 1 for a uni folio. 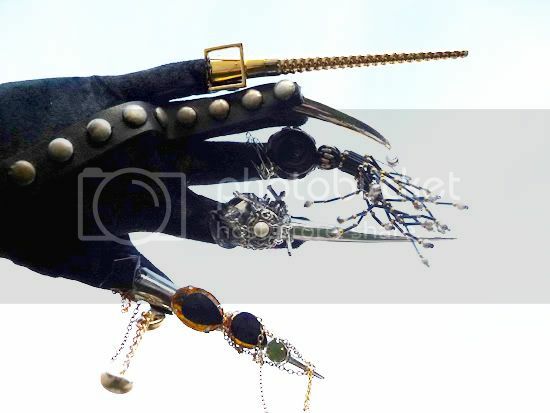 It's a customized vintage 50's velvet opera glove encrusted with broken and reclaimed jewelery. I was inspired by crabs (not the STI, haha) and freddie kruger. I used a wood and metal glue to adhere the jewelery along with a tiny bit of hand sewing. 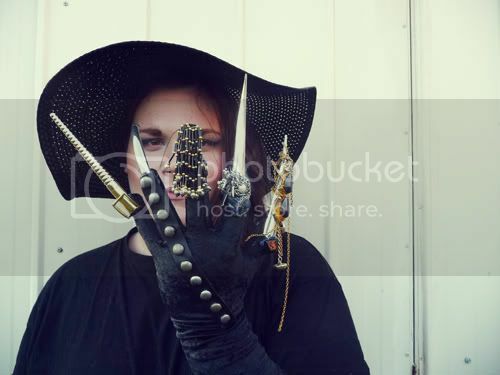 I made the nails out of hammered toys. I was pretty pleased with the result once it was complete! It was a quick, fun and experimental process. Please excuse my crappy photos! DYING. love this. love your HAT. Girl, these photos aren't crappy! 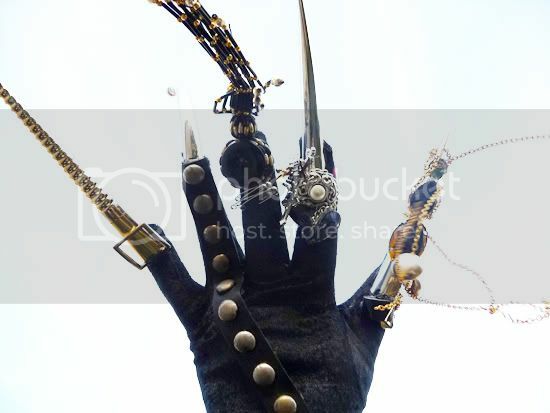 I am absolutely obsessed with your gloves! They look fantastic! what a great portfolio piece. could you make me a pair?! and, i love your blog also! loving your style. ps: i made some awesome faux nails the other day, and I'm uploading pics of them soon. check it out, i think you will like em! 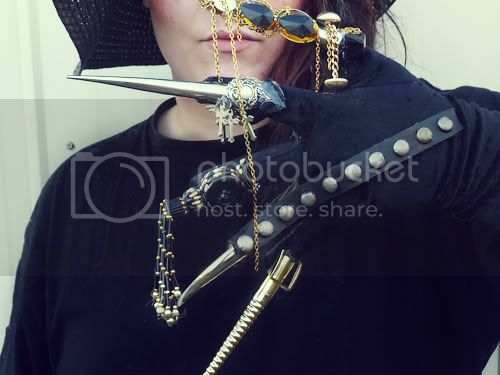 SWEET blog.. those pics are dope. You're welcome! :) I would love a black pair! But, I'm almost thinking a bold color would look cute, too! Maybe it would be too much? Oh my god, this is just so COOL! Creativity? Check.